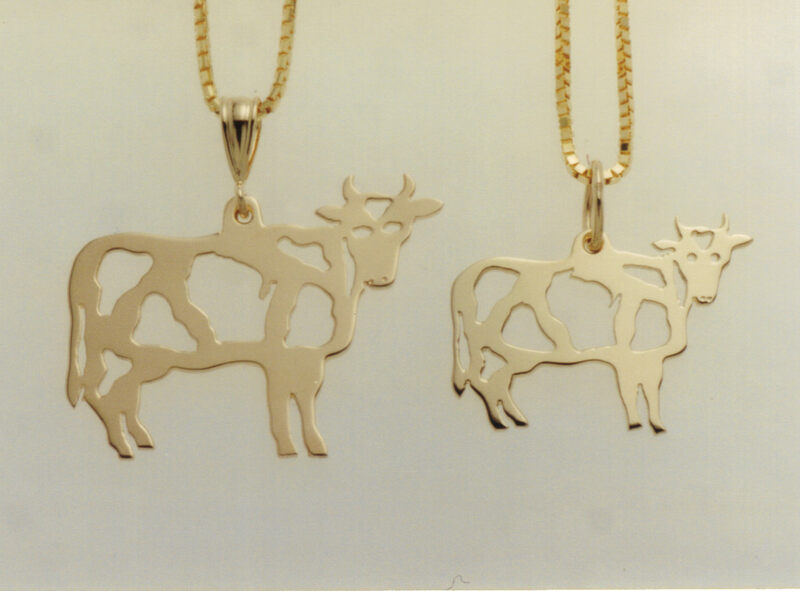 Welcome to Wisconsin Charm - home to the Great Lakes Trophy Fish Rings and the Wis-cow-sin Cow Pendants and Charms. Award winning artist, jewelry designer and goldsmith, Paul Spanbauer, creates beautiful gold or sterling silver custom jewelry for the discriminating buyer. Wisconsin Charm has been in business since 1994, providing exceptional quality and craftsmanship in custom jewelry to its customers. Wis-cow-sin is a registered trademark. All jewelry designs are copyrighted. My goal in business is to help my customers create an individualized piece of jewelry that reflects their own sense of style. I work with my customers from initial concept to completed project to give them their own personalized creation. For trophy fish rings and Wis-cow-sin pendants and charms go to the Products, Pricing and Orders page. I have always enjoyed the outdoors and especially fishing. The fish ring project started in the mid-1990's. Growing up in Northeast Wisconsin, I have had plenty of opportunities to catch freshwater fish in our lakes and rivers. These experiences help me capture the detail found in my Great Lakes Trophy Fish Rings. I have included a gallery of jewelry and sculpture, construction process and my artist's biography for your consideration. Also see the gallery of fish pictures.